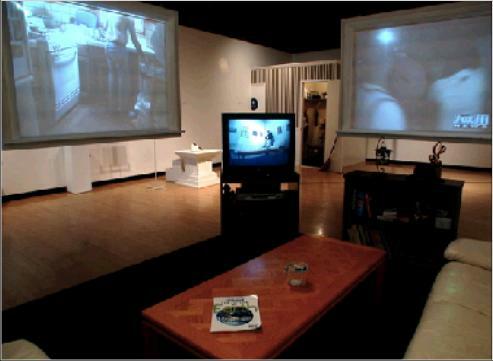 Second Thoughts is a mixed media installation, utilizing both live and recorded video. One video consists of clips about violence, death and crime taken from the local news and magazine shows. The other video follows a standard day from the P.O.V. of a single person. 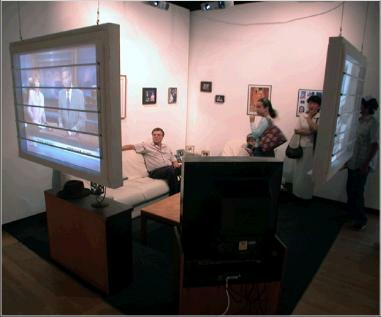 On the television is a live feed of the installation. 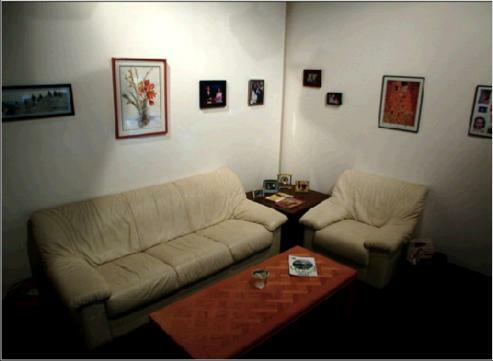 Pictures on the walls show images that one might have around the house mixed with pictures taken from the news relating to crime and danger. Second Thoughts examines how our perception of personal danger is blurred by the the constant bombardment of violence in the media.